During 1955 an official of the Ashgrove Hockey Club approached a member of the Wilston Hockey Club with the view of commencing discussions on the possibility of merging the two clubs. This Committee was given the power, by their respective clubs, to determine the future of these two clubs. Their discussions subsequently led to the formation of NORTHERN SUBURBS HOCKEY CLUB in 1956, which then became NORTHERN SUBURBS MEN'S HOCKEY CLUB until 1986 when the word "MEN'S" was deleted and the club became Incorporated. The major changes to the Club since its formation have been the introduction of Junior Men's teams almost immediately following the merging, Rebels Women's Hockey Club joining the club in 1972, and subsequently the Junior Women's section. These sections of the Club, in the initial stages, were all very separate sections within the CLUB. The adopted name of NORTHERN SUBURBS MENS HOCKEY CLUB was readily acceptable to the Brisbane Hockey Association, however, the contentious issue of the new Club's colours was debated at great length. 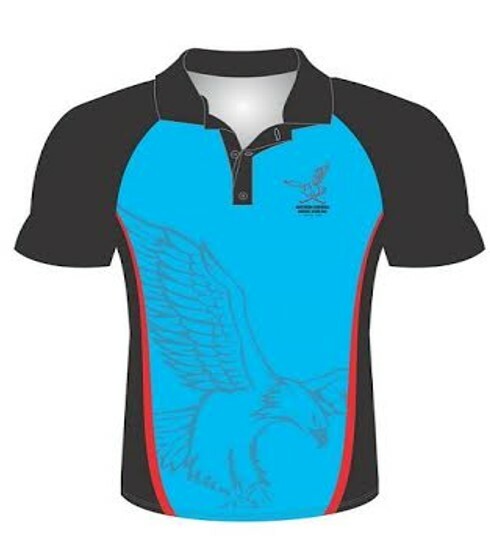 The two merging Clubs were keen to have some of their "old Club identity" incorporated into the new Club's uniform. This resulted in a uniform with a Sky Blue shirt with a red and black "V' front centre and a red "N" on the left breast, white shorts and black socks with a red top (Red = Wilston, Black = Ashgrove). The Club entered the competition in 1956, fielding 5 Senior and 4 Junior teams. In this initial season the Club had success when it won Premierships in "B" Grade seniors, J2 and J5 Juniors, and runners-up in "A" Reserves. "NORTHERN SUBURBS HOCKEY CLUB, which was formed from Wilston Club and Ashgrove Club had a mixed season. Although their Senior team finished last in the competition, most of the other teams did well. They provided most of the players in the State team that played in the finals of the Australian Junior Championships. This probably may have meant their losing the "C" Grade Premiership as the youngsters had a hard match in the morning before contesting the Grand Final in the afternoon. The captain of the successful Queensland Colts team, Tom Quine, is a member of Northern Suburbs Hockey Club. I feel that it would be a decided blow to the BHA if a newly formed Club with the potential of Northern Suburbs Hockey Club were relegated after their first season. This Club is in the heart of a rapidly growing district which holds two of the largest State Schools in Brisbane and their future should be assured." Following this Decision, the Club went forward conscious of its position, and keen to vindicate that the potential in the Club was capable of displaying it on the field. Dorrington Park, previously the home of Ashgrove, became the home gound as Wilston did not have a one. As there were no lights at Dorrington Park, much of the training was done in daylight hours. In the later 1950's the Club trained under lights at Mitchelton Youth Club grounds which were located at the rear of the Gaythorne RSL Club. The Club at that time also utilised an old timber shed at the Mitchelton Youth Club to conduct it's meetings. The Club trained in daytime hours on SUndays and always participated in the various Club Carnivals at the time. Through the 1960's and 1970's all Clubs were allocated a date, usually a Sunday, during the season to conduct a Hockey Carnival. These Carnivals were not only for Fund Raising, but utilised by Clubs to "blood" promising Juniors into Senior ranks. Raising funds through the Carnivals was supplemented by many activities whcih included Bottle Collection at Dorrington park and Bottle Drives, "Chook Raffles" at Ashgrove Shopping Centre, Meat tray Raffles at the Brook Hotel, Lotto Doubles, the traditional Lamington and Chocolate Drives, and following the opening of the Clubhouse in 1974 excellent support of the Bar and Canteen and regular Socials. The Club's facilities at Dorrington Park, like most others Clubs of the day, consisted originally of a shed with a minimum of light and power in a timber enclosure about 10 meters square. The original shed ar Dorrington park "mysteriously" burnt down in 1960 and was replaced by the Council's traditional timber structure with two sections and entrances separated by a 3 metre park bench. Certainly not the most pleasant of facilities but enough room for a refrigerator, a line marker ,some stock, and amany a story of success or a good reason for a disappointing loss, and a few good yarns. This shed too met a tragic fate as it was washed into Morton bay in the Brisbane floods of 1974. The only thing that remained was the concrete slab, at least part of it, and a determination and dedication to secure the future of Northern Suburbs Hockey Club. The Clubhouse which stands today is the result of a decision to go into debt, have that debt secured by some loyal Club Members, and to commit support to the Club so as to settle the debt with the lenders. With a wealth of trades and skills in the club at the time, and an abundance of members willing to donate time, effort, and materials, culminated in the new Clubhouse being completed by the official opening on 09-Mar-1974 by Mr Garth Wilson of W.D. and H.O. Wills. Through the 1970's and 80's some minor and major alterations were made to the origianl building. These included the extended external paved area, internal floor tiling, and canteen and bar upgrading to meet Health and Food preparation legislation. Over the past decade improvements have included new grounds maintenance 'shed', new cold room/bar facilities, additional training lights and significant expenditure on the playing facilities including new goal boxes. As part of the Club's continuous growth in the area, and some current and potential matrimonial partnerships, Rebels women's Club joined the Club in 1972 and played in the Women's competition as North's in that season. The inaugural president of this new Women's section was Deniece Quine who was ably assisted by Peg Hall and her fellow players. It was in this inaugural year that North's Women won the traditional march past of the Women's Association and the Club's entrant in Miss Hockey won that title. At this time, Junior Women's Hockey was played mostly in the Schools and it is important to note the significant contribution to Junior Women's Hockey by our Club. Due to Women's Association rules at the time allowing only one President, Peg Hall was elected the inaugural "Chairlady" of the Juniors. This Club also provided the first "male" coaches of teams in the Women's competition at Club level, a position "threatened" by it's presence on the grasses of Downey Park on more than one occasion. Prior to lighing being installed at Dorrington Park in 1973-74 the Men trained on Sundays during the day and at Mitchelton at night, while the women trained at Downey Park. Junior men trained Saturday morning prior to games and Junior girls at Downey park. From 1974 onward, all teams have trained under lights at Dorrington park with Senior teams now training on the artifical surfaces at night. Over the years since 1956 the Club has had a number of Premiership successes and players who have represented their city, state and country. We have also had a number of players and former players who have represented the Club on the Executives of the respective Associations. Over the years, the Club can pride it's self in the fostering and promoting of juniors from within the Club through to the Senior ranks. our conscious decision not to "poach" players on a grand scale has always stood our Club separate from the rest. We have always accepted players from other Clubs into our playing sections, but we are able to proudly look at "home grown" talent we have fostered over the years. The Club has developed and had in it's playing ranks some highly skilled and naturally talented players over the years. We also boast a unique piece of Hockey history. In 1956, Tom and Fred Quine Captained victorious Queensland Colts and Junior teams to win their respective National Championships. During the 50's, 60's, 70's and 80's the Club has won numerous premierships across all sections including two senior Mens Division 1 Premierships in 1967 and 1984. The introduction of the articical surface to hockey in the late 1980's significantly changed the way in which all hockey clubs operate. Initially only the top senior devisions played on the 'turf', howevere with the construction of the State Hockey Centre and the artificial surface at Burringbar Park the majority of hockey is now played at these two venues. Even the grass games played by men, women and juniors have been centralised at three venues - State Hockey Centre, Downey Park and Shawsportz complex Kalinga. Few clubs retain their clubhouse and playing fields, however, Norths has made a strategic decision to do so. The social aspects associated with "home and away" games for the men's and junior men's competition have largely disappeared, as have the revenue raised via the canteen and bar. In addition, the cost of playing hockey has, with the annual playing fee for senior men and women exceeding $500.00. This was the main cause of the Norths men withdrawing from Division 1 in 1988. Norths men re-entered Division 1 in 2001 and 2992, and again as Norths/Redcliffe in 2005 and Norths St Andrews in 2006. The highlight for the women's section was in 2003 whtn our top team, Division 2, won the premiership. The current Norths inc Management Committee works hard to maintain our home at Dorrington Park. The leaders of the four sections, Mens, Womens, Boys and Girls do a stirling job in maintaining Norths presence in all competitions. Currentl Norths fields 34 teams across the 4 competitions ranging from Minkeys to Veterans. There are currently 370 playing members. This short history was compiled initially in 1996, for the 40th Anniversary. It has been updated to reflect developments over the past decade. We have endeavoured (with a few exceptions) to refrain from naming individual members who gave exceptional service to the club. Thus minimising the potential for antimony, omissiions or errors. The current committee wishes to thank everybody who has contributed to Northern Suburbs Hockey Club Inc. over the past 50 years. This history kindly provided by Kev Back. All fields saturated and easily damaged. New supporter gear is available now! Check out the Supporter Gear page for more information. After the latest pictures and news? Like Norths Hockey on Facebook! For a massive set of awesome action photos thanks to Kent Rainbow, click on the Flickr icon.